It’s unfortunate that one of the most critical forms of maintenance for your trees is often one of the most overlooked as well. Tree trimming in Naperville, IL is an absolutely critical part of caring for the trees surrounding your home for reasons including everything from the purely aesthetic concerns to improving the health and growth of the tree, controlling its path of growth to ensure the safety of your property, and even defending your tree from disease, damage, and death! Why Choose Chop Chop Tree for Tree Trimming in Naperville, IL? When you trust in the experienced arborists here at Chop Chop Tree to perform your Naperville tree trimming services you can be confident that you’ll gain all these benefits and more, quickly, affordably, and with the care and attentiveness that will help to make your home’s landscaping the envy of the neighborhood. Our team of specialized Naperville tree trimming contractors represent the highest commitment to quality service and customer satisfaction that you’ll find anywhere and with their prompt, expert services like tree trimming in Naperville, IL the love you have for your home’s trees is sure to keep growing! 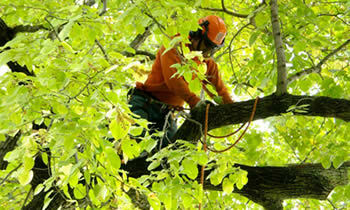 If your trees are in need of the care and attention of expert Naperville tree trimming contractors our team of arborists are available today to provide the precise, individualized service solutions each separate tree needs to looks and thrive its best and to provide you with the longest possible happiness with the look and feel of your property. To learn more about your local Chop Chop Tree arborists have to offer for your tree trimming Naperville, IL project we invite you to get in touch with our friendly and knowledgeable team at (630) 608-4565! They’re available right now to provide you with a completely free comprehensive at-home consultation, assessment, and estimate, with no obligation to hire. Don’t live with trees that are dangerous, damaged, or diseased! Call the Chop Chop Tree arborists today!